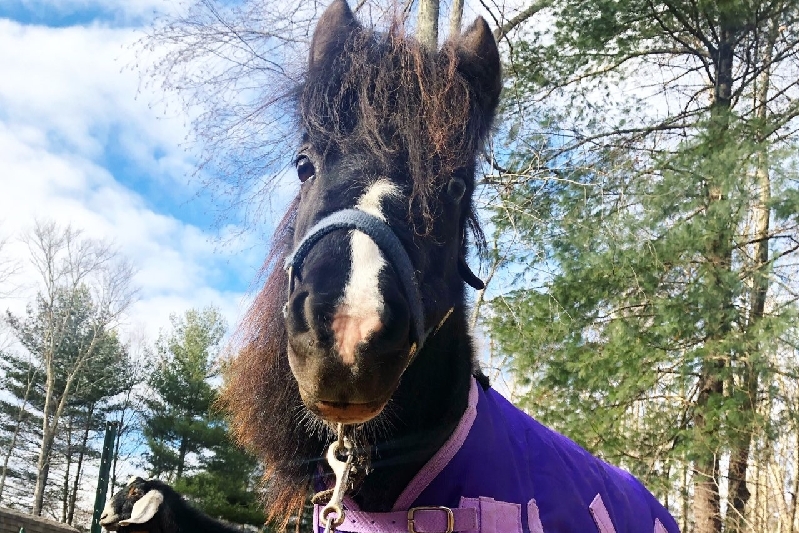 Fundraiser by Marla Cardini Riley : Help Starlight Run Again! 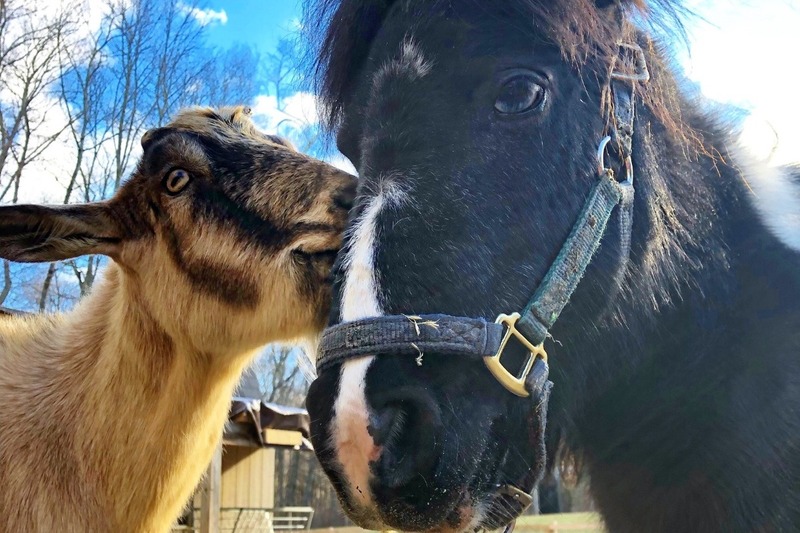 The Riley Farm Rescue is a 501(c)(3) Farm Animal Sanctuary. 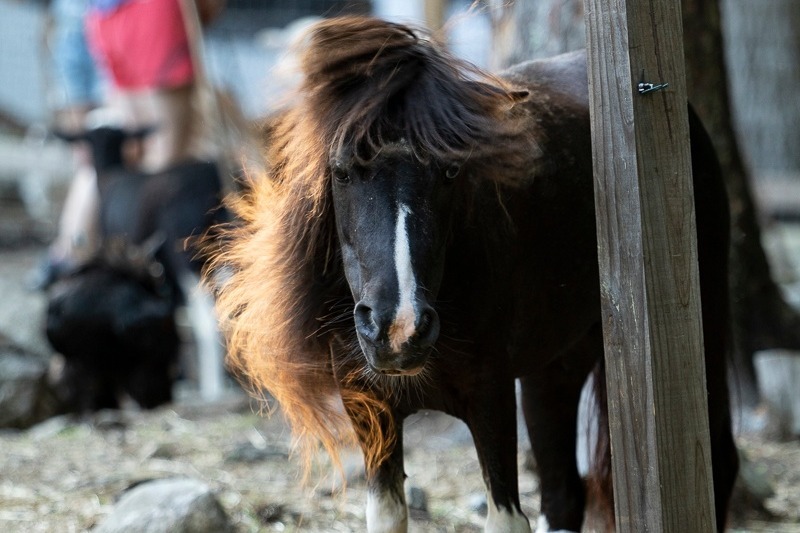 We were contacted regarding Starlight, a mini-horse and agreed to meet Starlight on June 27, 2018 and assess her situation. Hospital in Pennsylvania. 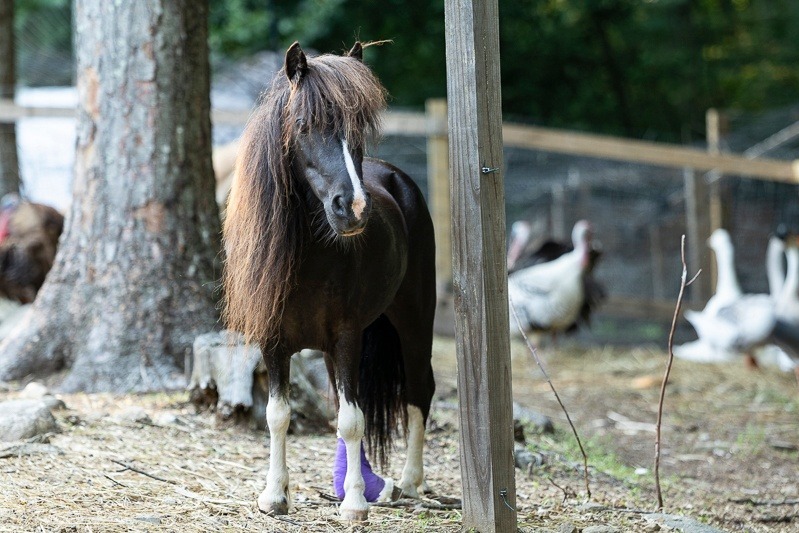 Once the surgery and rehabilitation are completed, we look forward to a long and happy life with Starlight at RFR as she enjoys the significant increased pain free mobility the surgery is expected to give her. 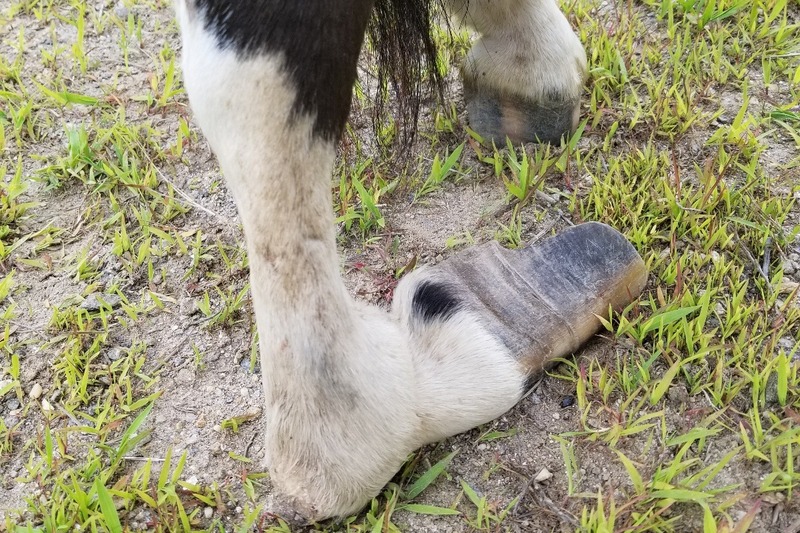 We are raising funds to cover this surgery, the recovery time she will need to spend at the hospital and the transport costs. All donations help! Thank you! Starlight Update! Star is currently doing well as you can see from here she is getting some love from Luke! Luke has a major crush on her! Since the last time we have updated you, Star has had 2 more infections. But now is doing okay! We still owe $5,009 for her medical bills which do not include this past weeks vet visits! I thank everyone so much as we have raised over $25,000 for Star! Let's close out 2018 with a bang and get this girls bills down even more! AND this is the last day to claim for a 2018 tax deduction! THANK YOU ALL!!! Help STILL NEEDED! 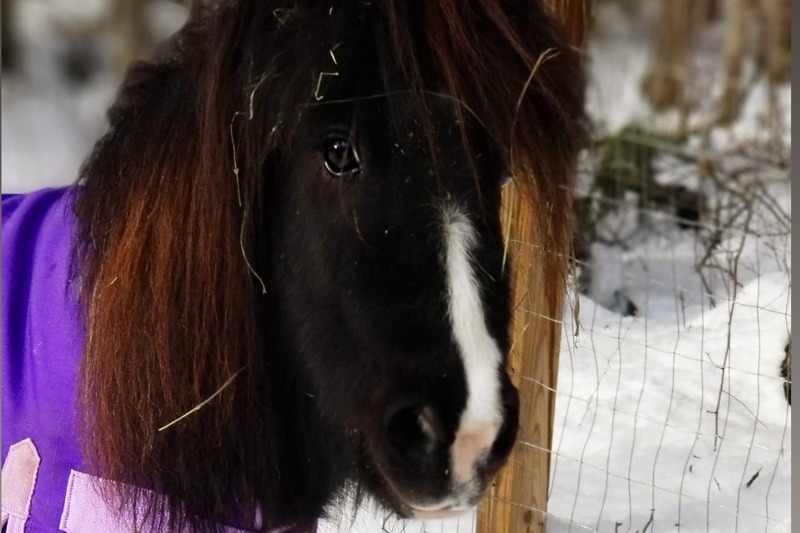 We raised only $85 towards Star's vet bill just from just last week of $1188! Still short $1103! I know I sound like a broken record, but the bills are piling up. If you can find it in your hearts to take the time to donate and share, it would mean the world to us! This doesn't include her visits this week! All we need is 200 of our followers to donate just $5 each! Please please consider a tax Deductible donation! I have to be honest, I'm terrified of what the future holds, we have depleted our funds for Star's 4 month stay at New Bolton. Our girl still requires a weekly visit from our vet. Thank you all! Starlight is home! Our girl came home last Tuesday. Watch for a video that will be posted by The Dodo for her full story! We are still very nervous as she is not out of the woods yet. We worry about infection - particularly the hardware - which would need to be removed. We are PRAYING this doesn't happen. Star still needs weekly visits from Dr. Morey, which have been $250 each! The total bill for her stay at New Bolton Animal Hospital and transport of $3,000 was $26,188.16. We are ALMOST there, we have raised here, on paypal, Facebook, fundraisers, etc a total of $ $20,145. Leaving a remaining $6,043.15. So close! Please consider a tax Deductible donation! Thank you everyone so much for all your continued support!